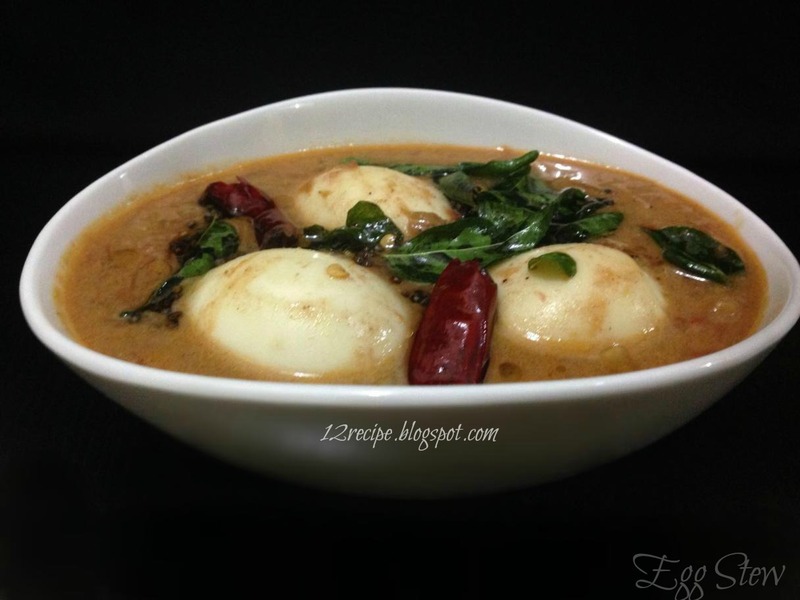 Egg stew is a tasty Kerala egg curry that goes well with any of Indian Breakfast’s. It’s very simply spiced curry, yet rich and delicious. Heat oil in a pan; sauté onions until transparent. Add ginger and green chilly; sauté for a minute. Add garam masala powder and pepper powder. Add tomato chopped and sauté until mashed well. Add ½ cup of hot water and ½ cup of thick coconut milk. Allow to cook for another 10 minutes until curry boils and starts thickening. Stir occasionally to avoid curdling. Add boiled eggs in the curry and switch off the flame. Pour the curry in to serving bowl and do the seasoning on top. Heat oil; splutter mustard seeds; add dry red chilly and curry leaves. Add it on top of the curry.